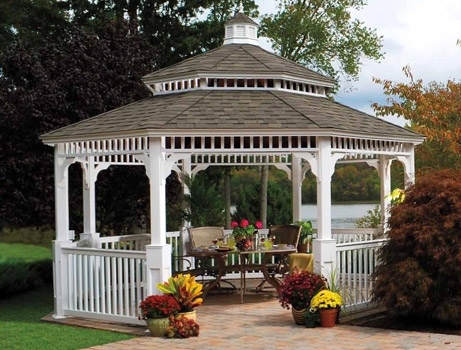 The Gazebo is an irreplaceable part of the American landscape. From coast to coast, gazebos grace village greens, the backyards of country farmhouses, and the gardens of grand estates. They remind us of a simpler time – an era when we enjoyed the pleasures of life more and worried a lot less. 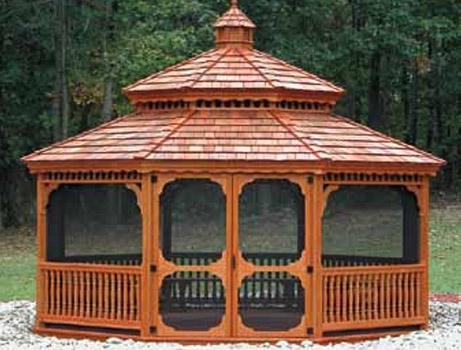 Explore our handcrafted gazebos and you’ll feel the difference. Just one look and you’ll be transported back in time. Close your eyes and hear the sounds of a brass band playing from gazebo steps on a sunny 4th of July. Smell apple pie cooling on a nearby windowsill. Bring this all-American classic to your home today! 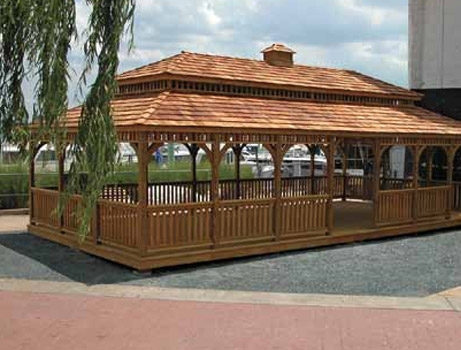 Standard features include select pressure-treated lumber ready to be stained or painted, cedar shingles, stainless steel screws, and 2"x6" floor decking. Add a functional and decorative accessory to your house today!